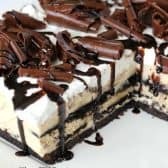 Icebox cakes are a summertime favorite! 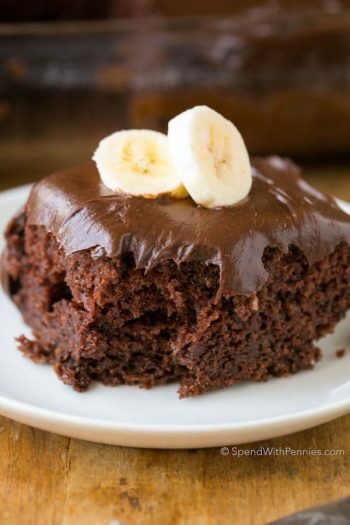 Not only are they quick and easy to prepare, but these delicious desserts don’t require the oven which is a huge bonus! 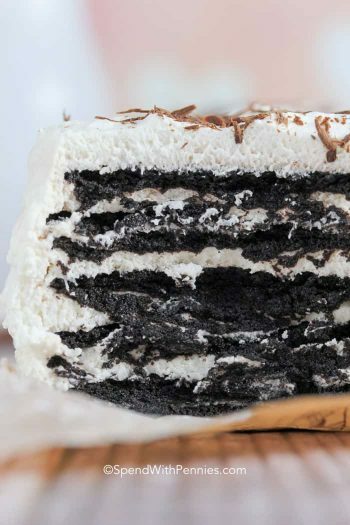 If you’ve never made an icebox cake before, you are going to LOVE this! You simply layer up a cream filling and cookies of any type… the cookies soften creating an amazing cakey texture! 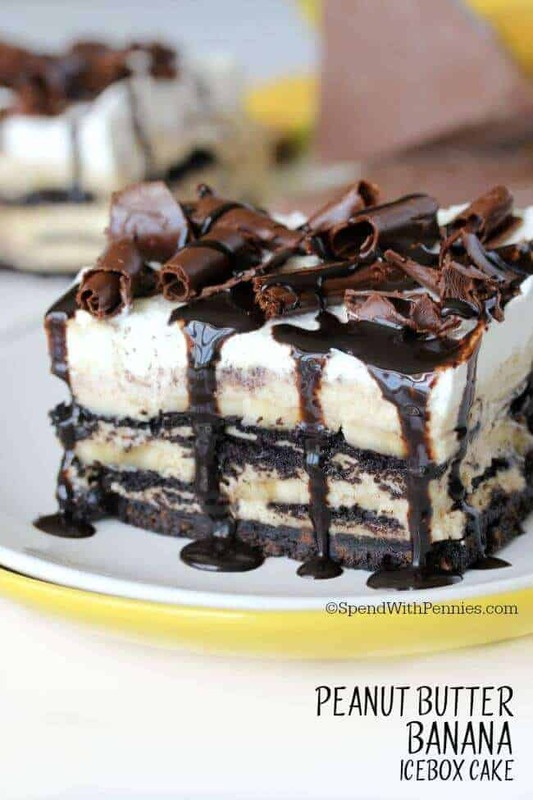 This Peanut Butter Banana Icebox Cake has chocolate wafers sandwiched between layers of peanut butter cream and bananas! 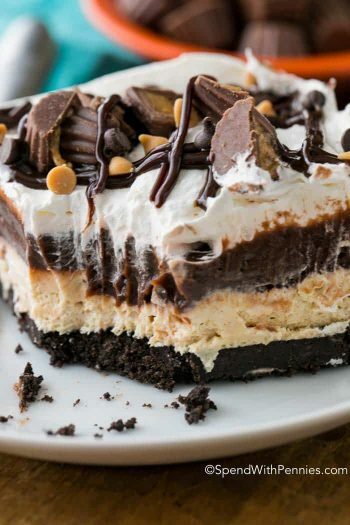 You won’t believe how deliciously light and decadent at the same time! I’ve garnished this cake with beautifully simple chocolate curls, they just take a couple of minutes to make! Combine butter & cookie crumbs until moist. Press into the bottom of prepared pan. Refrigerate. Whip 2 1/2 cups heavy cream and powdered sugar on medium high until fluffy. In a separate bowl, combine peanut butter and 1/2 cup heavy cream. Beat on medium high until fluffy. 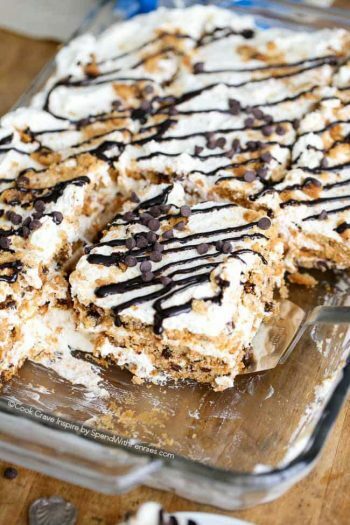 Fold whipped cream & peanut butter cream together. Spread 1/3 of the peanut butter cream over the cold crust. Top with 9 wafer cookies and half of the bananas. Spread 1/3 of the cream over the bananas. 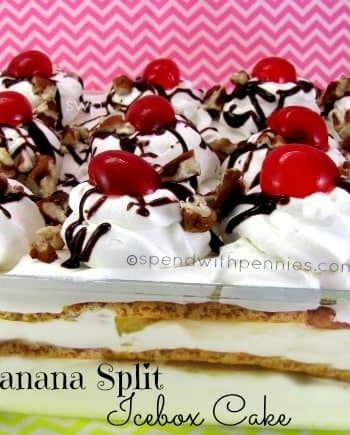 Top the second layer of cream with 18 wafer cookies, overlapping them and remaining bananas. 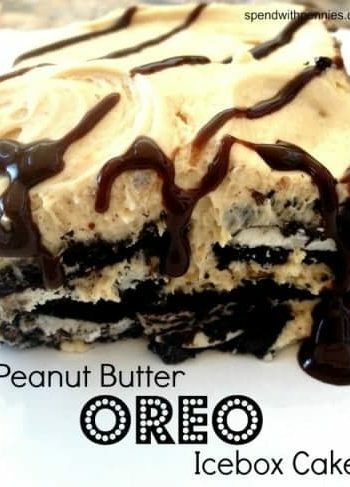 Add remaining peanut butter cream. Cover with plastic wrap and refrigerate overnight. Remove from pan using plastic wrap and transfer to a plate. Before serving, whip remaining cream and spread over cake. Garnish with fudge sauce and chocolate curls if desired.